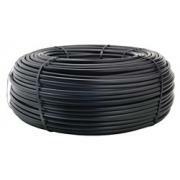 1/2" Drip tubing 100' Roll ½” (.610” x .710” x .050” wall) | Wyatt Irrigation Supply, Inc.
UV resistant - withstands heat, direct sun and harsh environments. Manufactured under stringent quality controls, assures highest quality as every coil undergoes a battery of over 30 quality checks. 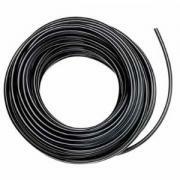 Made with the finest low density polyethylene resin available allowing for easy connections and quick layouts.